CONGRATULATIONS TO STEVE JORDAN MOTORCYCLES SUPPORTED RIDERS ON WINNING BOTH THE MRO AND BEMSEE JUNIOR MINITWIN CHAMPIONSHIPS AND TO STEVE JORDAN WHO HAS TAKEN THE THUNDERBIKE UK EXTREME CHAMPIONSHIP FOR THE SECOND TIME. Thankyou also to everyone who has supported us and our riders during 2013. Bernard Elliott, Continental Tyres, Fuchs Silkolene, Proti Titanium bolts, K-Tech Suspension, Sigma Performance and ELP Racing. With over 13 Championship titles in the past four years Steve Jordan motorcycles have technicians with over 50 years combined on and off road racing experience. We will be supporting BMCRC with full technical and suspension paddock support during 2014 at every race meeting and test day. Offering everything from suspension and geometry setups right through to ride mentoring, general servicing work and technical support and fault diagnostics. Steve Jordan himself won the 2010 BMCRC Thunderbike UK Championships riding a very trick and highly tuned Suzuki SV650 which proved just what we can achieve from this popular supertwin. During 2013 Steve rode the Fooks EXP 1 aluminium framed Ducati 998 to take the 2013 Thunder UK Extreme Championship. Sarah Jordan took 3rd Place in the 2011 BMCRC Thunderbike UK Championship aboard a Steve Jordan prepared Ducati 748SP. 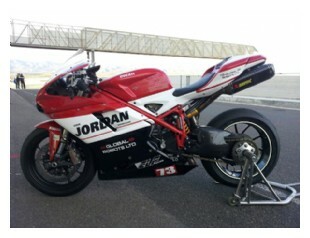 In 2014 Sarah will be racing a very special Ducati 853R in the 2014 Thunderbike UK Championship with Bemsee. We have prepared and assisted with motorcycles which have won 2 further Thunderbike titles, 8 Minitwin championships, One Formula 400 championship plus many others. We also achieved 2 British Superbike EVO class wins and also tuned and prepared the first SV650 home at the 2012 Manx Grand Prix. Onboard the prototype Ducati 998 Steve Jordan raced to four clear wins in the Bemsee Thunderbike UK Championship at Pembrey over the weekend of the 4th and 5th May. Steve also took the Thunderbike lap record a stretch further as he held the previous fastest lap in the class which he set on a Suzuki SV700 back in May 2010. The 998 Steve is riding has been built and designed by Oli Fooks of Surrey Engineering alongside using Steve Jordan's setup and development skills. The bike runs a handmade aluminium frame very similar in dimension to the Ducati 999 road frame. The engine is a Ducati 998 testastretta engine. Further development is now planned including a handmade swingarm and further fork upgrades. 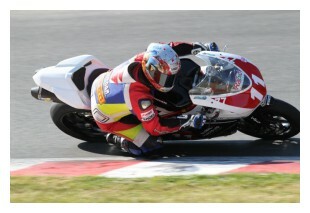 Steve will next be riding the bike at Oulton Park on 1st June. Team Global Robots / Steve Jordan Motorcycles riders, Steve and Sarah Jordan return from a successful pre season test at the Spanish Almeria Circuit courtesy of Racedays.net. The husband and wife duo took advantage of 3 days of dry and sunny tracktime to prepare their bikes for the 2012 season. Steve a regular in the 2011 Ducati 848 Challenge has been joined for the season by his wife Sarah, both of whom will race with backing from Andy Kirkwood, managing director of Milton Keynes based Industrial Robotics specialist Global Robots Ltd, under the Steve Jordan Motorcycles banner. The team will become the first husband and wife pairing to compete head to head in a British Championship. 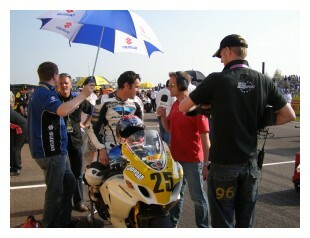 Sarah explained, "I am really excited about racing with Steve and also on the Ducati 848. Having secured the backing of Global Robots LTD and enjoying 3 days on the bike out in Spain this season couldnt come quick enough. Alot of people are already commenting on what the conversation will consist of between myself and Steve in the van on the way home from meetings, but I find it fun and im sure after a few meetings it will become very close and interesting on track!". Sarah took 3rd in the Bemsee Thunderbike Championship in 2011 having ridden in select British Supersport events previously will be looking forward to a strong season in 2012. "It generally takes me a little while to become comfortable on a new bike but the testing at Almeria went better than planned with the bike feeling great from the start. Steve was flying out in Almeria so it will be a tough few rounds to start with but im sure by Assen I will be where I need to be pace wise". Steve explains "It looks like there will be a few of us "age experienced" riders within the series this year. The aim is for consistant top five finishes which will hopefully put us closer to the podium this year. The bike is feeling much stronger than last season. The Almeria test went perfectly so I now cant wait until Brands Hatch"
The team will make use of some track time at Brands Hatch and Snetterton over the next few weeks prior to the first Ducati 848 Challenge races held over Easter weekend in April at Brands Hatch. Huge thanks go out to Andy Kirkwood of Global Robots Ltd, personal sponsor and Pit Board legend Bernard Elliott, ELPRacing.co.uk for paint and fairings, Fuchs Silkolene and Racedays.net. Team Steve Jordan Suzuki rider, Sarah Jordan enjoyed an up and down Easter weekend at the chilly Kent Brands Hatch circuit. Entered into the first round of the British Supersport Championship the weekend proved to be a huge learning curve that has left Sarah wanting more this season. Sarah explained, We decided to enter select rounds of the British Supersport Championship this season after a successful one of entry into the series last year at the Brands GP round. Im now ready to really start making large improvements in my riding and the bike and I feel entering select round of this Championship will help me to do that. Riding with the countries best Supersport riders you really do have to work hard and I loved being out with them last season for one meeting and learnt so much from it. Riding the only Suzuki GSXR600 on the grid the weekend started wet and sadly an intermittent misfire in the first free practice meant the team spent more time off track that on it. With the misfire rearing its head again in second free practice it left Sarah with only a few rushed laps to get a base set up into the bike. The team have struggled with lack of testing this season. Normally prefering to travel to Spain early in the year a mixture of budgets and waiting for parts to arrive meant very little tracktime prior to the season opener. Sarah, though raised her game in first qualifying on a used rear tyre managed to better her previous personal best by just over half a second managing a 49.1 second laptime. The team had changed alot on the bike after the second free practice and it felt great and if I had taken the chance to run a new softer rear tyre the lap times would have fallen even further as the bike felt very very good. Sadly having taken the chance with a new qualifier for the second qualifying session a mixture of fallen riders and rain spoilt any chance of improvement on the grid leaving Sarah on 36 from 38 entrants on the grid. Sarah said, I was happy and with the bike problems early on during the weekend was pleased just to be on the grid. The bike felt superb with all the changes we had made transforming the bike. I knew during the day I would have to get a good start but it wasnt to be. I got swallowed up into the first corner and found myself behind a group of 4 riders. The riders in front were not running any corner speed and I started to get frustrated. I knew we had plenty of laps and decided to take a lap out on lap 4 to relax and take stock of the situation. Im not sure now whether that was a good idea or not but the next thing I knew was the bike wouldnt turn around Druids and I didnt realise straight away that was because I was on the floor!. It happened so quickly with no warning. 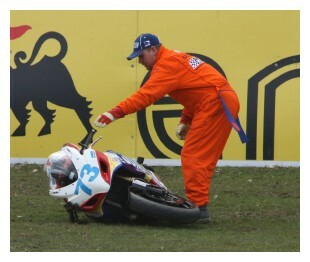 Luckily there was minimal damage to myself and the bike but I was very annoyed. It looks like we had just simply run out of grip and at least I know not much more lean can be had at Druids. So a dissapointing end to the weekend for the team but we now know where improvements can be made and we are now looking forward to the next meeting which is with the MRO at Brands GP over the weekend of the 15th May. 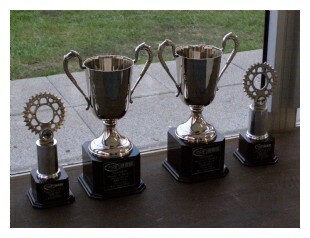 The next British round will be Snetterton in July. I would like to do alot more testing and racing in the lead up to Snetterton but our budget is really stretched this season. We are desperate to try and find some extra funding. The team has planned various packages which include VIP Hospitality, the chance to be a grid girl/boy and the opportunity to spend the weekend working with the team. Most fans can only see from behind the fence so it would be great if they want to help us with the funding for a round and in return we can give alot back. Many Thanks to current supporters: Bernard Elliott, Halo Leathers, Planet Knox, Fuchs Silkolene, Racedays.net, Suzuki GB. 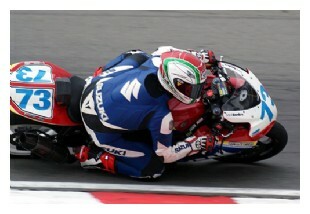 Steve Jordan Motorcycles Supported Team take a double BSB Victory. The second round of the season couldn't have worked out better for the dedicated MIST Suzuki team. Just two weeks after having run the bike for the first time they scored a whole range of firsts at Thruxton to take the double race win in the inaugural SuperBike Evo series. Having qualified at the front of the strong Evo field rider Dave Anthony also secured the Evo lap record at Thruxton and left leading the Championship by 18 points. After all the excitement it is easy to forget that Dave nearly didn't make it as his flight was one of the last to arrive before the airports were closed on Thursday due to the Volcanic dust in the atmosphere. Even at the time of writing he is still waiting to find out whether he will make it home to California at some point this week or whether he may have to stay a while longer. Dave made a slow start in the first race and after being held up at the first corner finished the lap in 26th position a fair way down the field and behind many of the top Evo runners. Showing the same determination he had at Brands Hatch he soon found a strong rhythm and fought his way through the pack and was soon battling with the factory supported BMW that is widely recognised as having a good 20 hp more than the Suzuki. Showing that power isn't everything Dave would overtake on the tighter parts of the circuit only to see the BMW power past on the faster straights. Swapping places every lap allowed some of the other Evo riders catch up but Dave made his pass on the BMW stick on the final lap and crossed the line 13th overall and 1st Evo bike home. With the grid for the second race decided by fastest lap times from the first race the team were up in 16th place for the start. Getting off the line better Dave fought his way passed a couple of Evo bikes that had slipped through and rapidly opened a gap on the rest of the Evo field. Once again getting held up by the BMW Dave fought to get by but was regularly demoted again on the faster sections. Long time SuperBike regular Chris Walker had a few problems early on but used his superior power and experience to get between Dave and the BMW for much of the second half of the race. Aware that the rest of the Evo field was closing in Dave bravely fought his way through to lead for just one lap only to have Chris and Steve Brogan on the BMW power past on the fastest part of the circuit. Giving away 30 hp to the SuperBike he bravely hung on until an incident at the chicane a couple of laps from the end delayed him enough for Tom Tunstall to slip through on another SuperBike. Not to be deterred he crossed the line in 17th place just half a second from Chris Walker in 15th. Another Evo race win and a new lap record to top off an excellent weekend. Mike Edwards commented "We are overjoyed at the progress we have made this weekend. Our first podium in five years of racing and our second so soon after. Working with Dave Anthony has been a real pleasure. He has the experience to tell us what he needs from the bike and everyone then does their best to give it to him. Now we are leading the championship but still have to secure funding to allow us to compete in the next round at Oulton Park in under a fortnight so in between rebuilding the engine we will be out looking for sponsorship as we are determined to win the British SuperBike Evo championship title.". Anyone that is interested in helping the team please get in touch via the team website at www.mistsuzuki.com or email them at 'mike.edwards@mistsuzuki.com'.